John Dame, founder of Dame Management Strategies, Vistage Chair, Forbes Coaches Council, and author, announces Scaling Up, an interactive Academy on Tuesday, July 26, 8 a.m. to 4 p.m., at the Clarion Hotel and Conference Center Harrisburg West, New Cumberland, Pennsylvania. Scaling Up will equip executives to scale their organizations by understanding and tapping the strengths of the Millennial generation. 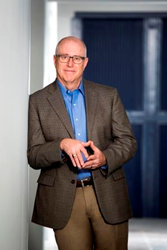 John Dame, founder of Dame Management Strategies, Vistage Chair, Forbes Coaches Council, and author. In five years, Millennials will account for 46% of the workforce. In ten years, that percentage moves to 85%. A vital mission of the Evolution series is to educate leaders on how imperative it is to engage and retain Millennial employees. John Dame, founder of Dame Management Strategies, Vistage Chair, Forbes Coaches Council, and author, announces Scaling Up, an interactive leadership Academy that will equip executives to scale their organizations by understanding and tapping the strengths of the Millennial generation. Scaling Up, the second event in Dame’s Evolution 2016 Series, will be presented Tuesday, July 26, from 8 a.m. to 4 p.m., at the Clarion Hotel and Conference Center Harrisburg West at 148 Sheraton Drive, New Cumberland, Pennsylvania. “In five years, Millennials will account for 46% of the workforce. In ten years, that percentage moves to 85%. A vital mission of the Evolution series is to educate leaders on how imperative it is to engage and retain Millennial employees—the largest generation to enter the American workforce,” says Dame. Attracting executives from across the U.S., this interactive Academy is designed to create alignment, accountability, and acceleration for leadership teams of fast-growth organizations. Rob Simons, speaker, coach, and entrepreneur will act as the facilitator. For event information on the July 26 Academy, the October 4, 2016 Evolution Annual Conference, and to purchase tickets, visit http://www.evolutionconference.org/eventseries. To learn more about Dame Management Strategies, John Dame, or to read his weekly blog, visit http://www.damemanagementstrategies.com. Dame Management Strategies’ focused purpose is to enhance the lives of executives and the results of their organizations. They strengthen company bottom lines by providing executive coaching, strategic planning, executive team development, and essential toolsets. Dame is a leader and frequent speaker on the role of purpose in the business environment and the new challenge of transitioning to a millennial-based workforce. John began his leadership journey in 1968 as an on-air personality for the country’s first album rock radio station. By 1977, he had been named the COO of Dame Media and in 1998 he founded the Dame Gallagher Networks (DGN). John is also a member of the Forbes Coaches Council, a group of leading business and career coaches helping others grow impactful businesses and fulfilling careers. Evolution 2016 is a leadership conference that brings together both emerging and seasoned business leaders to look at the world through a new lens, a lens focused on social impact through service to others and making a significant difference through meaningful work. Evolution offers attendees the chance to see where leadership is going while equipping each participant with tools and resources to go out and make an immediate impact within their community and workplace.